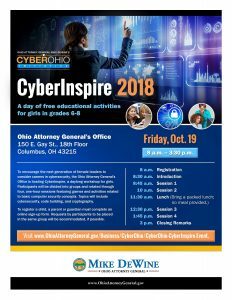 CyberInspire is a free, educational event sponsored by the Ohio Attorney General’s Office. 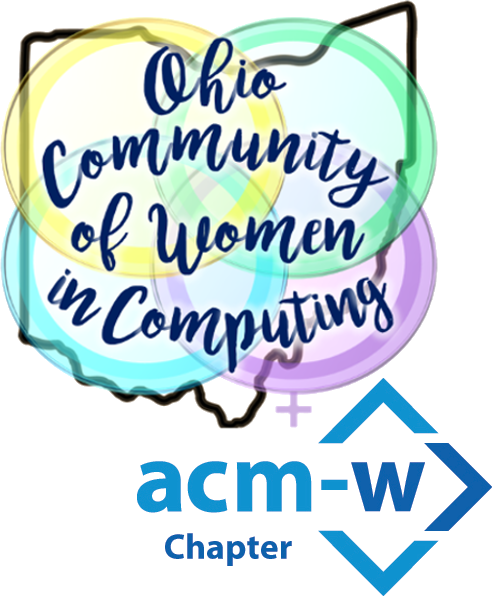 This event will take place on October 19th, from 8:00am-3:30pm, at 150 E. Gay Street in downtown Columbus. The Ohio Attorney General’s Office launched the CyberOhio initiative in 2016. Its primary aim is to help Ohio’s businesses fight back against cyber-attacks. One of the main components of the CyberOhio initiative is workforce development, to try to encourage students to consider cybersecurity as a career, in light of the high demand for workers in that field. To assist with this, we are developing events for students of various ages so that they can learn more about cybersecurity. CyberInspire is a free all day workshop geared particularly toward female students in grades 6-8. During the event, students will dive head-first into the exciting world of cybersecurity. Participants will be split up into four groups and rotate through four one-hour sessions. Each session will consist of a game or activity that will expose them to basic computer security concepts. Topics include computer safety, code building and cryptography.